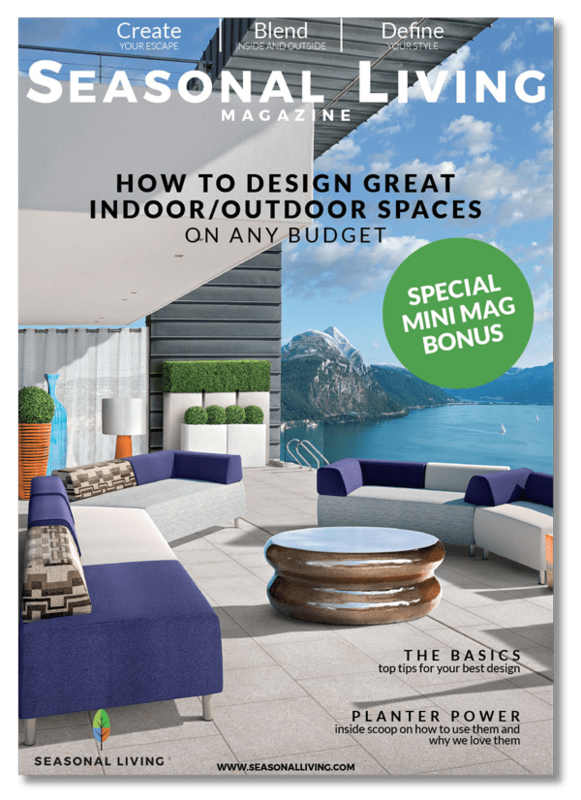 Introducing Seasonal Living Magazine – our new bi-monthly online publication- helping you find the inspiration and ideas you need to refine the art of indoor outdoor living for you and your families! 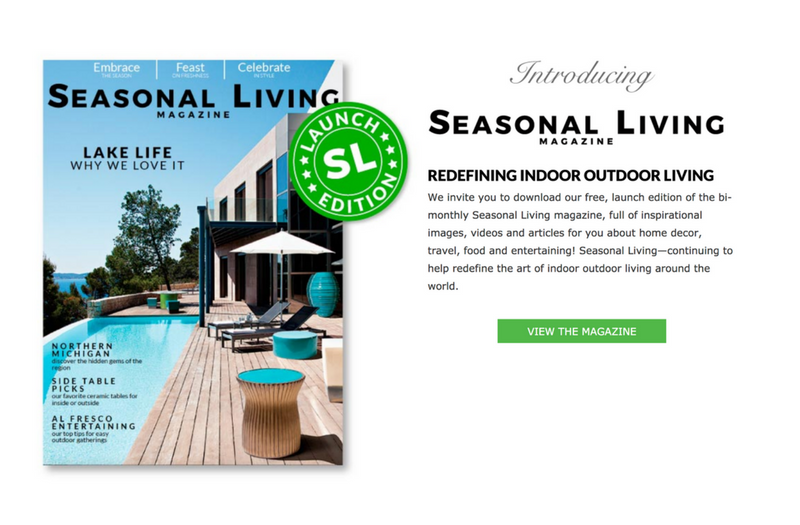 We are so excited to introduce you to the inaugural issue of Seasonal Living Magazine, our beautiful new online magazine, free to flip through and enjoy at your leisure without an email sign up. 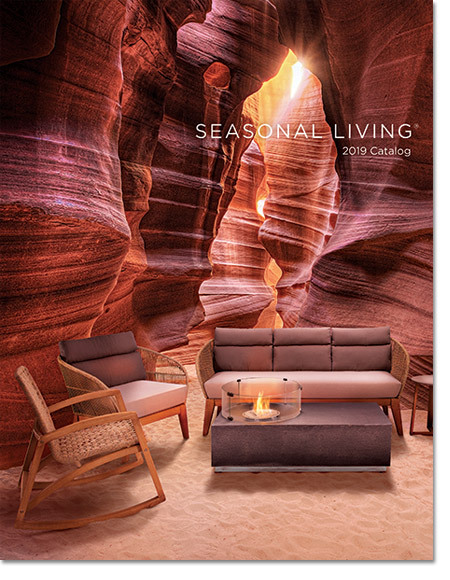 What led to the creation of Seasonal Living Magazine? Over the years, many of you have had conversations with our CEO, Gary Pettitt, about various aspects of the Seasonal Living lifestyle, a life centered around wellness, sustainability and living in harmony with the four seasons: spring, summer, fall and winter. You’ve talked with him about his global travels, and told him you want to know where and how to travel, both here in the USA and globally, to see the best of what each part of the world has to offer. Many of you have also found out he’s an excellent cook and have asked him for the recipes he makes with seasonal ingredients. Some of you have seen how he entertains at home, and have asked him to show you how to entertain and live more artfully, both indoors and out, using seasonal decor. He’s been listening and today, Gary and the team here at Seasonal Living hope you will find just the inspiration and ideas you’ve been searching for in the pages of our brand new Seasonal Living magazine! 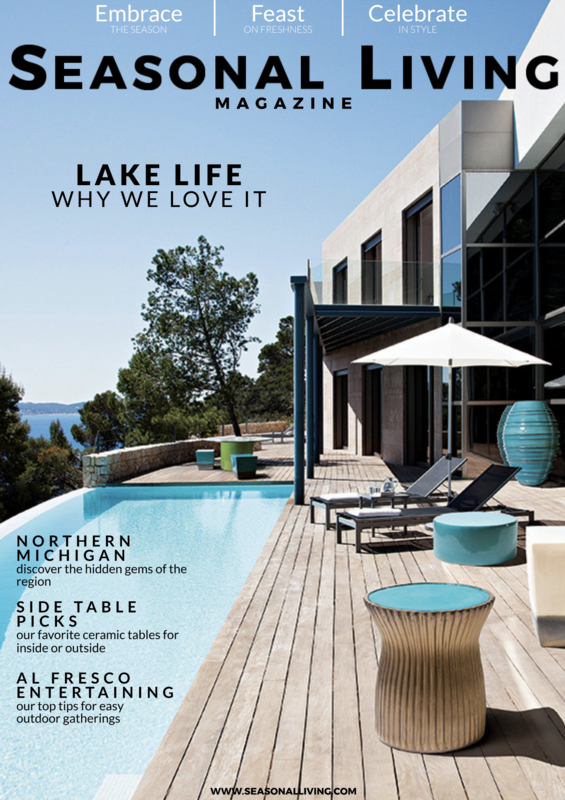 Our inaugural issue is focused on Lake Life (#LakeLife) and why we love it, and inside you will find our top pick for a late summer travel destination in the USA: Mackinac Island in Lake Huron, on the Upper Michigan Peninsula. If you’ve been there, see if you agree with our top restaurant pick by clicking here, to read the magazine! 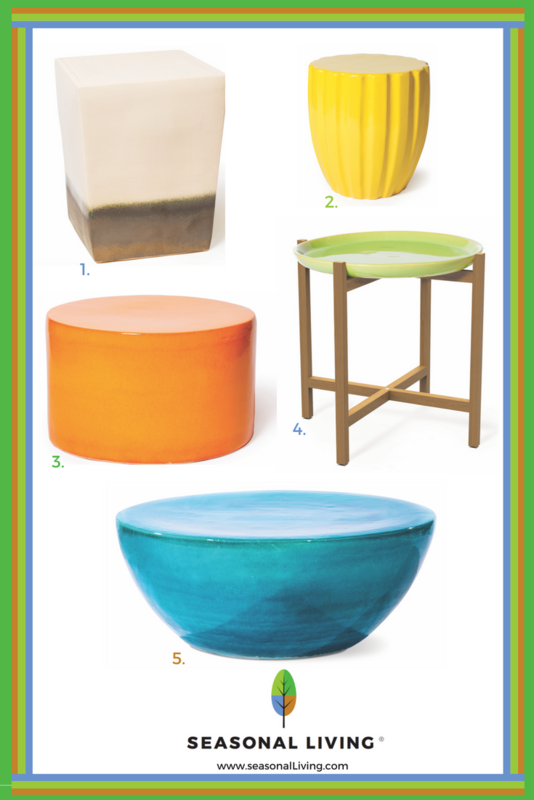 In addition to our late summer travel tips and picks, you will find articles for a delicious, easy to make recipe using fresh pears, how to artfully entertain al fresco – lakeside – and our favorite indoor outdoor seasonal decor items for your homes: our hand glazed ceramic occasional tables and stools, available in a variety of colors, and our cordless, adjustable INDA torch lamp, perfect to take with you to an early evening picnic around the lake. 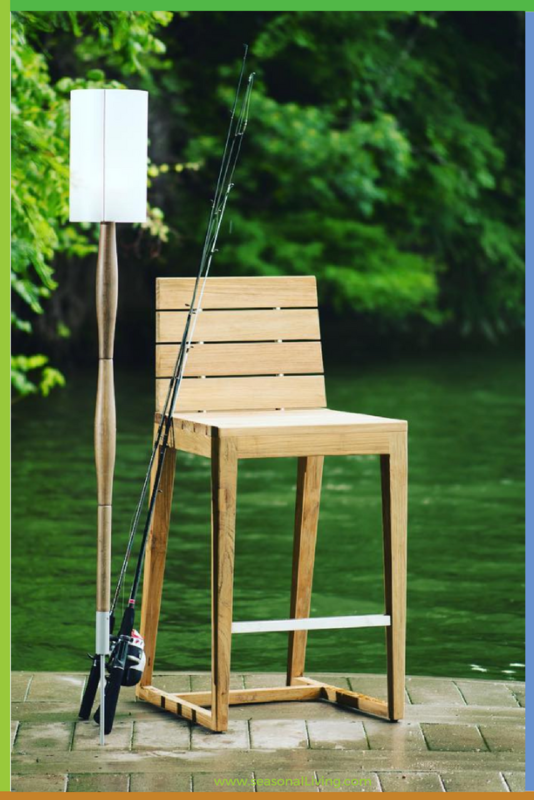 Click 1 2 3 4 5 for detailed product information on each table and click here for more information on our INDA cordless indoor outdoor lighting. 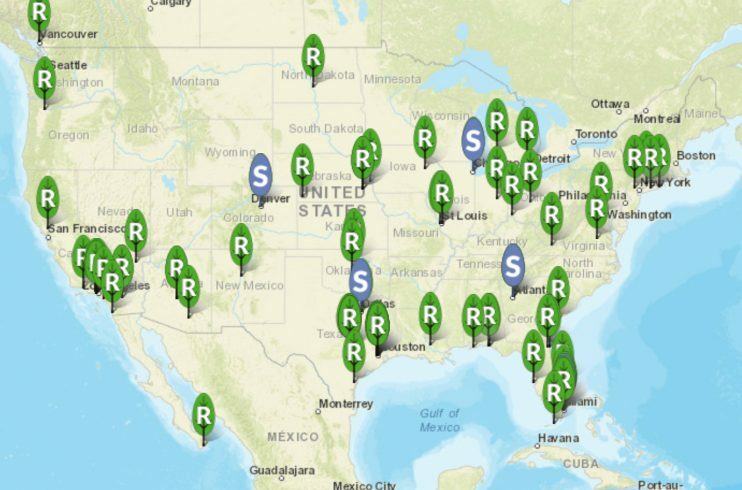 If you’d like to see and touch the luscious glazes we use on our indoor/outdoor ceramic tables or see how our INDA cordless, adjustable LED torch lamp works in person, we invite you to use our new retailer locator tool, found here, to find the retailer nearest you. And if you’re a retailer partner of ours, and coming to Las Vegas Market, we look forward to seeing you in our beautiful showroom in C-494, to show you our latest new introductions for Seasonal Living. We hope you will all love our new online magazine as much as we’ve enjoyed creating it for you, and invite your feedback at editor@seasonalliving.com. And if you have enjoyed the magazine, and would like to share it with your friends and family so they can enjoy it, too, you can copy and paste this URL into any email or social media site. Tag us on Instagram at #SeasonalLivingMag with a picture of our pear recipe if you decide to make it. We’d love to share it! We want you to know how much we appreciate your ongoing support of Seasonal Living and can’t wait to hear what you think.